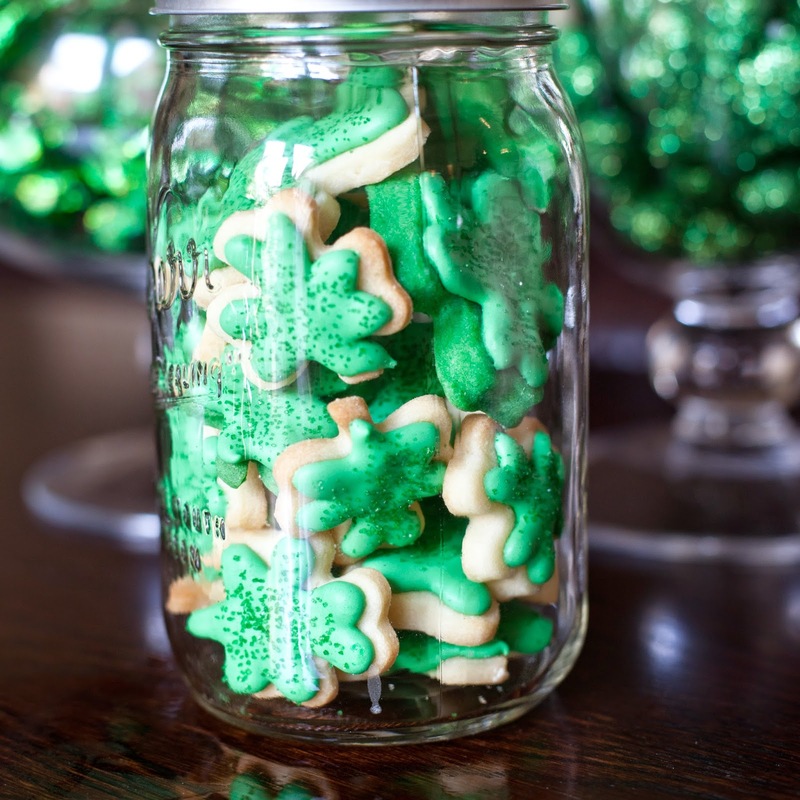 Little man and I have been busy baking up green treats for our friends and neighbors! 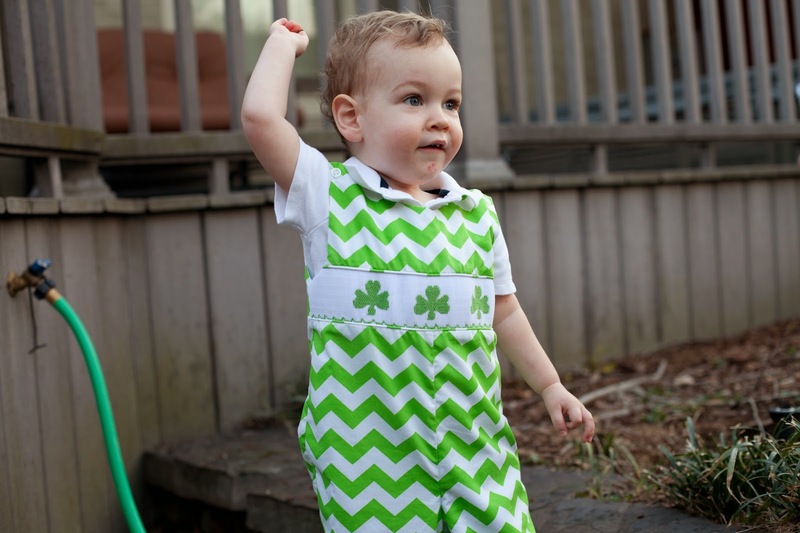 I'm loving that, at almost two-years-old, Parker can now get in on the fun! 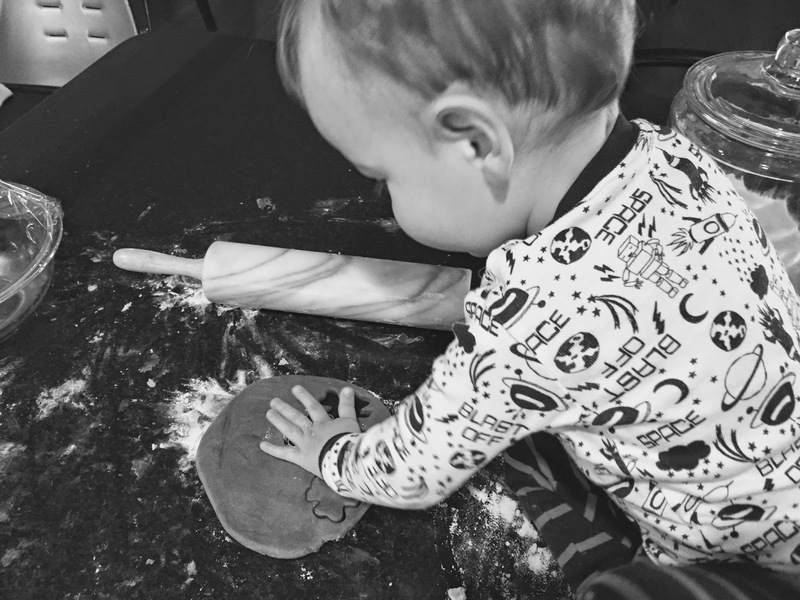 We of course had to make sugar cookies (read more about my sugar cookie secrets here!). 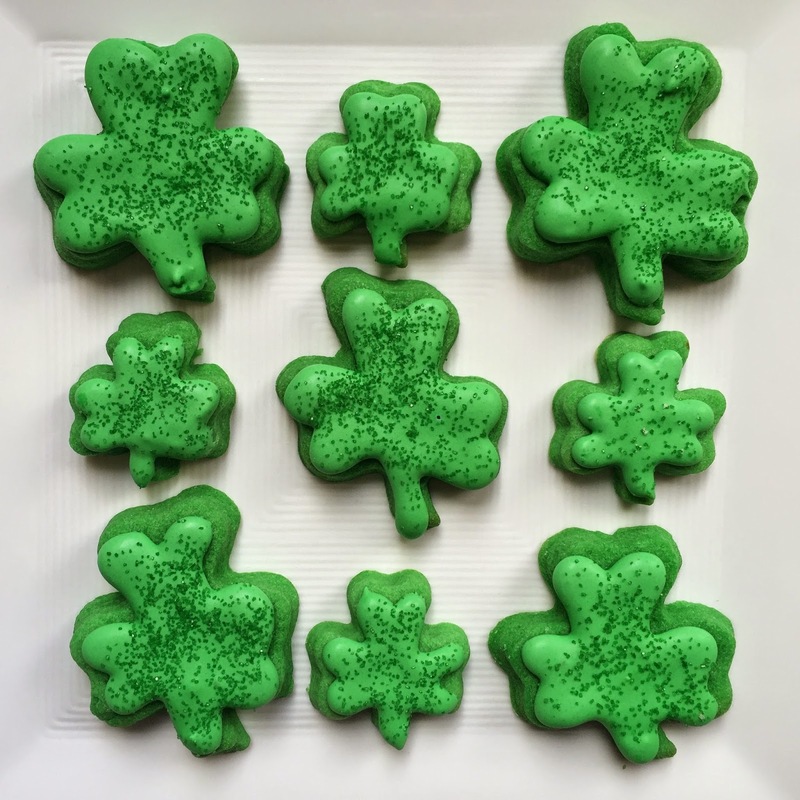 I actually tried piping the icing on for the shamrocks this time, which worked well since they had lots of tiny corners. 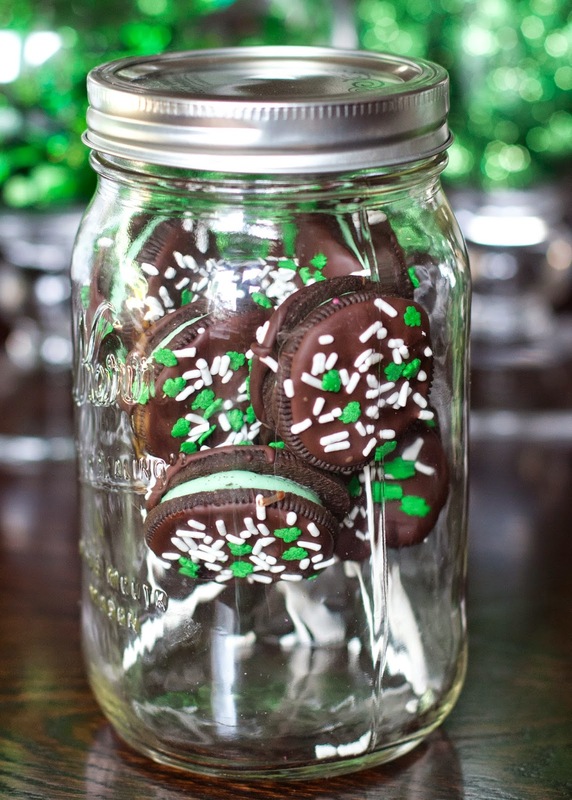 And I just love how they look in mason jars ! Next, I dove into the Mint Oreos that I forgot I had purchased. I made just a regular batch of boxed brownie batter, broke up a bunch of the Oreos, and stirred them right into the batter. I baked them like normal, and oh my word, they turned out perfectly. 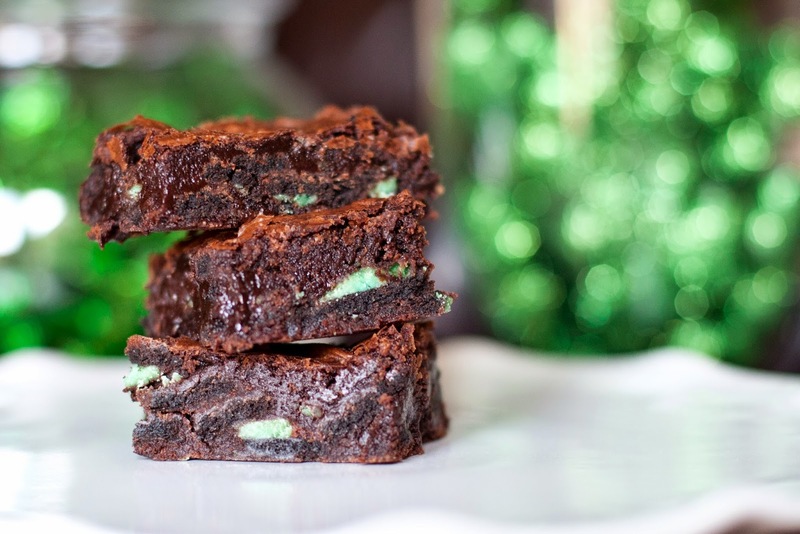 Kind of like Cookies & Cream ice cream meets brownies meets a leprechaun. And finally, since I had a bunch of Mint Oreos leftover still, I made a bunch of Oreo pops. 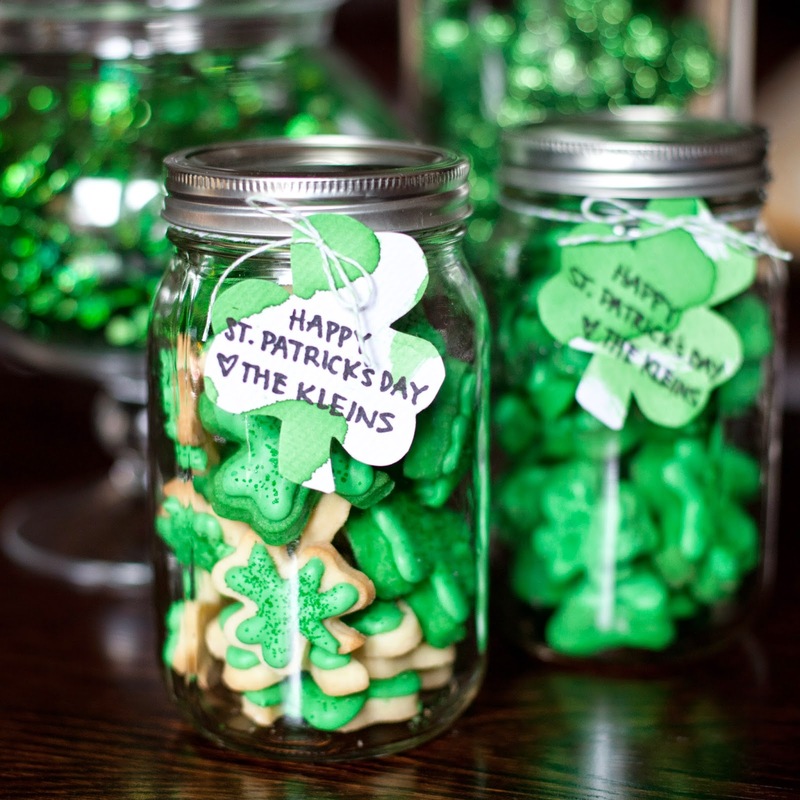 I tied on some of the extra paper shamrocks that Parker had painted on to the mason jars. They worked perfectly as tags for the treats. Ooh... all of those treats look so yummy! They all look delicious - I wish I was your neighbor! And I have to say that I'm jealous of your sugar cookies. These and the ones I saw from Valentine's Day looked so pretty! Mine always turn out so blah. I'm definitely going to try your cookie and icing recipes next time!